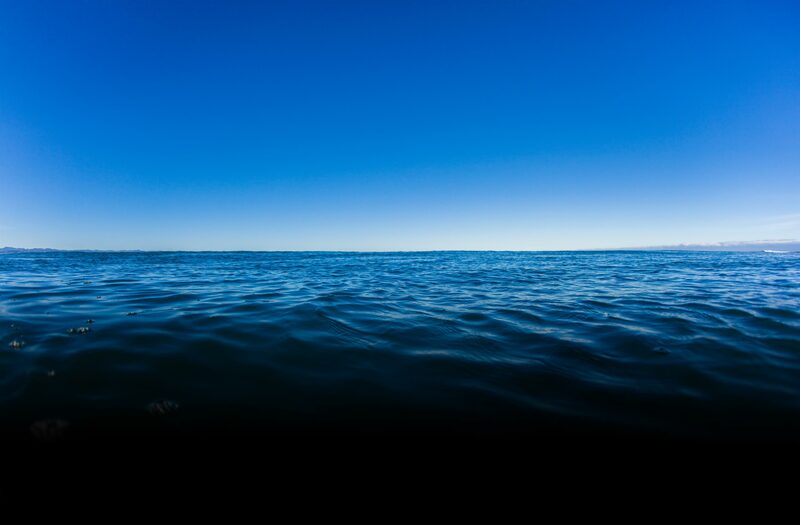 We are specialist manufacturers of charter boats, dive boats and recreational sports fishing boats with all boats built to your design, layout and requirements. Established in 1998, we have gained an excellent reputation for the quality of our fit and finish whilst offering excellent value and service. 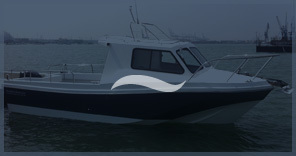 We now offer our own range of Boats including the very popular Vigilante starting from 8.5 metres to 12.5 metres with various deck, cabin and engine configuration. 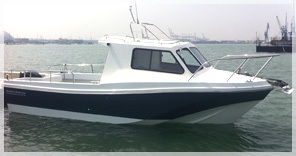 Visit our dedicated website for the Vigilante Boats. We now have available a 2018 Offshore 25 with a Volvo D4 260 See more details here. We still manufacture the well proven and respected Offshore 25 in lengths from 25’ to 29’ as well as the Tornado 28 and 8m and 10m Cougar Catamaran. 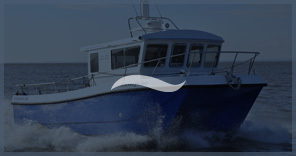 We are more than happy to quote for the construction of any other commercially available vessel, for instance, Cygnus, Kingfisher, Gemini, Lochin etc. 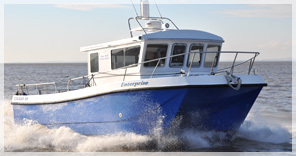 Boats are available at any stage, from hull with engine beds to a fully finished coded and commissioned vessel. Whatever your requirement, we can tailor the specification and fit out to suit your exact needs and budget. Whether its a high spec, high speed diving boat or a charter vessel aimed at skippers who spend long hours at sea and require a comfortable but durable place of work, every element of each vessel is bespoke in order to give you the maximum flexibility in design and performance. Please look at our gallery pages to see examples of our work. We have retained an excellent relationship with all of our past customers, with viewings or sea trials available by appointment. If you would like to make an enquiry about a future project please contact us via the details found on our contact page.